Summer time is beach wagon time! Summer is here and it’s time to head to the beach! If you have kids, you know that hauling all the stuff that goes with a beach trip can tire a poor dad (or mom). You may want to look into a beach wagon for a Father’s Day gift. 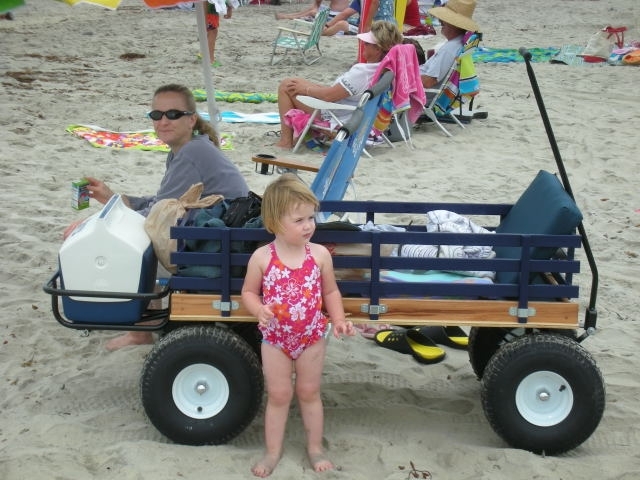 These wagons can haul all your toys, food, towels, umbrellas, boogie boards and ice chest so you don’t have to make multiple trips. You can check out our lineup of 2010 models atWagonWorld.com.